After launching at Techcrunch Disrupt in September we’ve been waiting for the green light to start signing up for the beta for Montreal-based Shwowp to let us get a real peek at it. Users can now forward all receipts and order confirmations to wow@shwowp.com as well as directly upload them via the site. Shwowp will then aggregate the information, allowing users to add photos, comments, track trends and share their shopping history with friends through Twitter, Facebook and email. 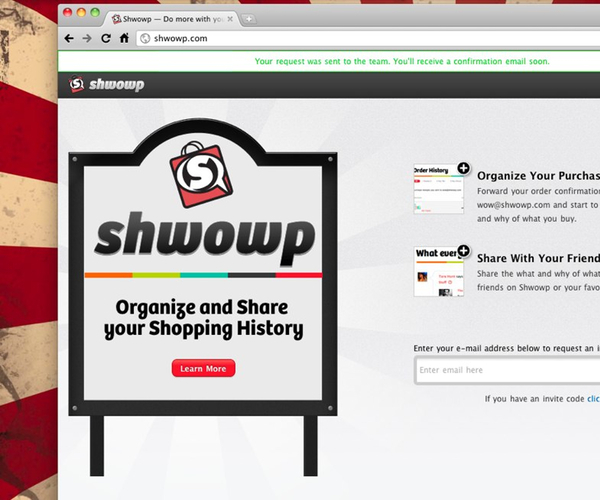 Shwowp founders talk about how shopping and data portability can work together from The Next Web on Vimeo.